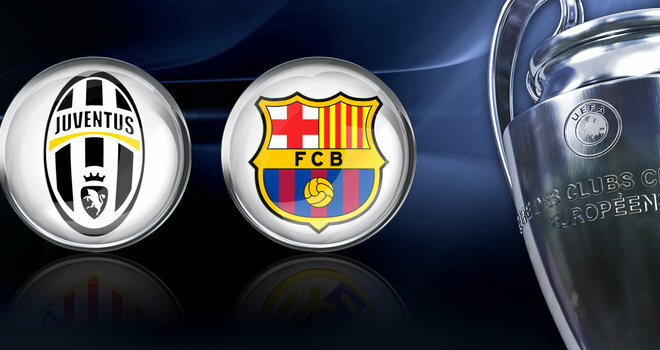 Juventus and Barcelona will face off in a Berlin showdown, when they meet in Saturday’s Champions League final. Both Juventus and Barcelona are looking to top off fantastic seasons with a championship win. Barcelona led by Lionel Messi, are the major favourites to win, this could be a fifth European Cup and fourth in the last decade for them. Juventus shall be appearing in their first Champions League final in 12 years, they will be fighting to win the European Cup for the third time. The coaches, Juve’s Massimiliano Allegri and Barcelona’s Luis Enrique have had amazing debut seasons while leading their respective clubs. As both teams have won domestic league and cup doubles, and now both find themselves within reach of a glorious treble. This would not be Barcelona;s first, it could be a second treble like the ones they had under Pep Guardiola in 2008-09. It’s obvious though that such an achievement is a very rare one indeed. How rare? Only six other teams have ever won a domestic league and cup double and the European Cup in the same season. Celtic`s Lisbon Lions did it the first time in 1967. Since that achievement, Ajax (1972), PSV Eindhoven (1988), Manchester United (1999), Inter Milan (2010) and Bayern Munich (2013) have repeated the rare feat. Juventus, wants to join that elite group or risk becoming the first club to have lost six European Cup finals. That would be a sour legacy to leave after such a great season. How does Juve want to do it? The Italian champions` want to blunt Barcelona`s razor-sharp attack of Messi, Neymar and Luis Suarez that so far, has sliced through opponents like a warm knife through butter, on the road to the final. These dangerous South Americans have scored a stunning 120 goals between them this season. When you compare that to the 103 goals scored by the entire Juventus team, it’s obvious if they can’t shut this trio down, then it will beover before it gets started. Messi has 58 goals and is in his best form of his illustrious career. But if Juventus only focus on shutting him down, the other guns will start blazing. So their defense has to be balanced and controlled. Basically they will have to play their best game ever. Ask Bayern Munich who were annhilated by two goals in the first leg of their semi-final before Neymar sealed the deal with the the third. Suarez and Neymar did the most damage, combining for two first-half goals at the Allianz Arena which put a tie beyond Bayern’s reach. What will make Juve`s job even harder, will be that their star centre-back, Giorgio Chiellini was ruled out of the final after he tore a calf muscle in training. But don’t throw in the towel yet, Juventus is not flying to Berlin to stand by and allow Messi to make his usual magic. They will do everything to stop him from becoming the first player to score in three Champions League finals. “This is the game of our lives,” said Juve goalkeeper Gianluigi Buffon. He is Juve’s sole survivor from their last Champions League final appearance in 2003, when they were defeated by AC Milan. “I would always want to be starting off as a favourite, but we have our weapons to try and make Barcelona`s job more difficult,” added Buffon. Buffon was asked whether Barcelona were true favourites. “They have Messi, Neymar and Suárez, plus Iniesta in midfield – of course they are favourites.” They are the favourites and just might be as perfect as they sound. If they are, it will just be too much for Juve to overcome.